Last month I ended the year with a Top 15 of ’15 with books carefully selected by my six year old. Choosing only a small number of favourites out of the many, many fabulous children’s books out there is always a tricky task, so we’re making another list! This time, I’m basing these on my observations of my recently-turned three year old’s engagement with these books over the past few months. And here they are, in titled alphabetical order. 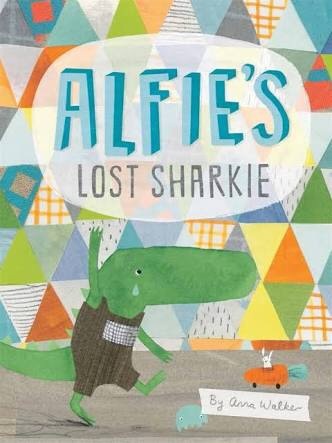 Alfie’s Lost Sharkie, Anna Walker (author, illus.) Scholastic Australia, March 2015. As always, Anna Walker triumphs with her artistic talent and endearing characters in the sequel to ‘Hurry Up Alfie!’. Having had prior knowledge of the strong-willed, independence-driven Alfie, Miss 3 relished reuniting with one of her favourite characters in ‘Alfie’s Lost Sharkie’ (And she is certainly beginning that stage of being able to relate to this ‘I-Can-Do-It-Myself’ attitude!). What a fun (and helpful) way to reinforce the bedtime routine as well as attempting to predict where the missing toy is hiding. Adding this book to your collection is yet another excuse for your preschooler to stay up a little bit longer. 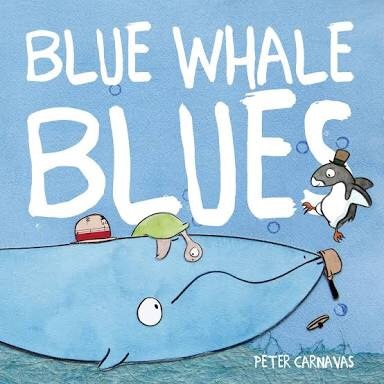 Blue Whale Blues, Peter Carnavas (author, illus.) New Frontier Publishing, September 2015. Also featured in my previous list, both Miss 3 and Miss 6 equally love the hugely humorous tale that is ‘Blue Whale Blues’. The mood of this gloomy whale, confused about the functions of common, everyday objects, is forever the cause for many a giggle, and a fun sing-along too! This gorgeous, heartwarming and engaging story of friendship and life lessons, with Carnavas’ indelible watercolours and collage qualities, is certainly a winner. Although Whale overcomes his ‘blue whale blues’ with the help of his friends, he is forced to relive his glumness in our household over and over again. 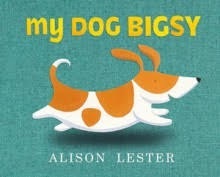 My Dog Bigsy, Alison Lester (author, illus. ), Penguin Books, October 2015. 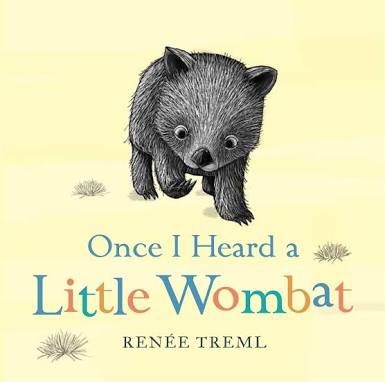 Once I Heard a Little Wombat, Reneé Treml (author, illus. ), Random House, August 2015. 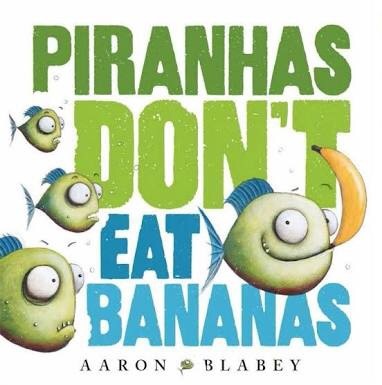 Piranhas Don’t Eat Bananas, Aaron Blabey (author, illus. ), Scholastic Australia, September 2015. Okay, so I’m not trying to teach my toddler crude language from an early age. But watching Miss 3 really developing a true love of literature is worth the little bit of ‘cheek’ that comes with it. She loves being able to recite the story as poor Brian attempts to convince his meat-loving, flesh-eating piranha mates that fruit and veges are the better alternative. Aaron Blabey’s expert sense of humour and fun rhyming couplets, as well as his characteristically expressive and bouncy illustrations seem to have really struck a chord. This sharp, satirical story about venturing into the unfamiliar sees this unpopular fish as a popular choice in our household. 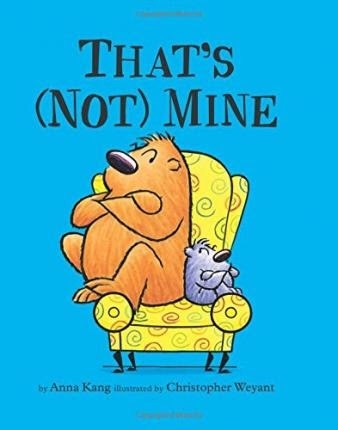 That’s (Not) Mine, Anna Kang (author), Christopher Weyant (illus. ), Hachette Children’s Group UK, October 2015. Two bears fighting over a chair. Sounds exactly like a few situations we’ve encountered between my two girls. I don’t know if Miss 3 has actually made that connection, but she certainly thinks these bears are hilarious. Following on from ‘You Are (Not) Small’, ‘That’s (Not) Mine’ is another hit. Literally! In one-word, punchy expressions, it’s easy to read (or shout) through the pages and watch as the bold, animated illustrations tell the story of this escalating feud. And the bittersweet ending with its quirky twist never gets tired either. Loads of fun with that subtle lesson in learning to share, this book would be a welcome pick for any child of this age. 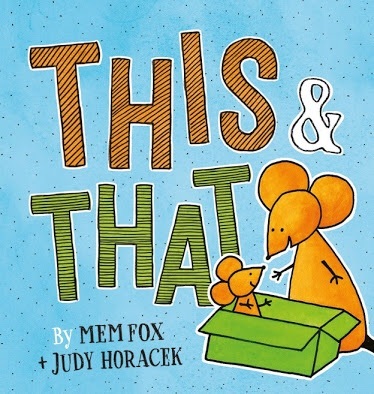 This & That, Mem Fox (author), Judy Horacek (illus. ), Scholastic Australia, October 2015. “The Mousey Story”. This is the fond nickname Miss 3 has bestowed upon this upcoming classic. A simple story with its repetitive, lyrical verses of two adventuring mice, cleverly crafted by the dynamic duo that is Mem Fox and Judy Horacek (‘Where is the Green Sheep’). The scampering, and often hiding, mice amongst the colourful and busy backdrops are continuously the quintessential visual literary entertainment. ‘This & That’ is a wondrous and imaginative journey across different lands, people and animals that allows for a most engaging reading experience. It also includes that perfect touch of tenderness to ensure that the sweetest of dreams will come true. 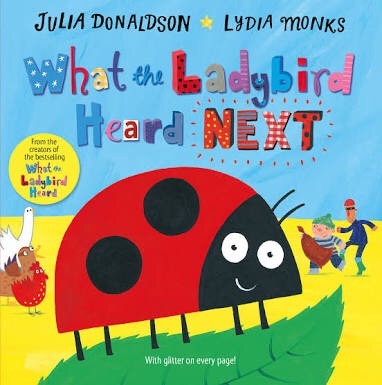 What the Ladybird Heard Next, Julia Donaldson (author), Lydia Monks (illus. ), Pan Macmillan UK, September 2015. It’s a glittery, vibrant and buzzing fiesta in this next instalment; ‘What the Ladybird Heard Next’. What little girl wouldn’t love the embossed sparkles that pop out of every page, not to mention the magnificent colourful characters, collage items and of course, a ladybird?! Julia Donaldson’s rollicking, whimsical lyrics steadily carry this energetic and dramatic story of this tiny herione as she outsmarts a couple of thieving bandits. All in all, Miss 3 and I loved this one for its total appeal – it’s easy to read, easy to listen to, and most especially, easy on the eye! Do you know of a toddler or preschooler who would love any of these books? What were your favourite picks from 2015? Any new releases you would like to recommend to children of this age group? Feel free to comment below. ← Sometimes you just need to take a break!